Bring your friends and loved ones to the heart of the Pacific North West’s incredible cruising waters and guarantee a safe and secure moorage space. 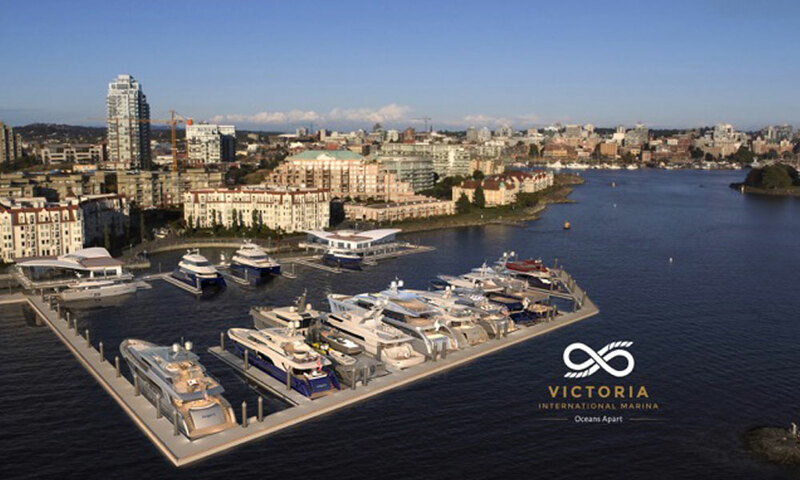 The new Victoria International Marina is a 28-slip luxury marina that accommodates superyachts between 65’ and 175’. It is situated in the middle harbour of Victoria, British Columbia, Canada, in one of the city’s fastest growing neighbourhoods, with a clear view of the vibrant Inner Harbour and easy access to the wonders around Vancouver Island. Impress everyone on board by mooring your superyacht in this state of the art, luxury green marina. Options are available to reserve a berth on a transient, monthly, yearly, or long-term basis. Fully-owned slips offer owners the advantage of generating income through transient moorage while their superyacht is out navigating the spectacular coastlines of British Columbia or beyond. British Columbia is more than a pristine natural treasure and global destination. The economy is diversified and growing, with vast natural resources, a thriving tech sector, tourism, manufacturing, aerospace, marine technology – to name just a few. With a balanced government budget, the lowest debt to GDP ratio in Canada and AAA credit ratings, BC will be a stable business environment, and a great place to invest, for years to come. Cruise planning and itineraries, from outdoor adventure excursions, fishing trips, or private plane or helicopter charters for guided exploration, to private access to a high-speed race track. Provisioning with the region’s best gourmet cuisine, new and old-world wines, or custom floral arrangements. Authorizations for helicopter take-off and landing, yacht refueling, and international customs clearance. Dedicated crew facilities, and private Crew Club. The marina’s stylish facilities and security technology are unsurpassed. The future-proof camera security system has an access card integration that can mask or identify patents and track entrants as they move around the facility; your family and guests will be safe while onboard the yacht, and your superyacht will be secure while moored at the Marina. All your necessities are within five to fifteen minutes, including Victoria’s best boutique shopping and dining district, as well as a variety of entertainment venues, cultural centers and musical haunts in the downtown core. The marina is conveniently located on the Songhees walkway, which provides scenic and safe walking on paved, dog-friendly pathways. Consider making the Victoria International Marina your home port, we are always ready when you are!